I am able to download the pocket query to my old Garmin 62s, but they are not showing up in my new 64st. What's the problem? Put the GPX files in the GPX directory, not the GPX/Current directory! I am looking on the Garmin site, and I found an article saying I need to create a list of geocaches and then use an app called Garmin Express to download the list to my GPS unit. Well I never did this before...I always was able to just download the caches directly from a pocket query. So if for my new GPS device I have to download the caches from a list, how do I create a list out of a pocket query? I am wanting to load some 1000 to 3000 caches on my device and I certainly cannot add them one by one to a list. That would be ridiculous, compared to the pocket query approach which gathers a large number easily. Keep using your downloaded PQ GPX files, put them in the Garmin\GPX directory, and you'll be OK! On my old unit, the 62s, I always put the GPX files in both the "Current" and the "Nav" files and that seemed to work. So I expected to do similiar with the 64st. I am looking on the Garmin site, and I found an article saying I need to create a list of geocaches and then use an app called Garmin Express to download the list to my GPS unit. That's hogwash. That is ONE way to install geocaches to your Garmin device. You can also download GPX files (pocket queries come zipped, so unzip them first) and put them into the GPX folder on your device. And if you prefer to use a SD card (recommended), the file folder structure mimics that of the device - a folder called Garmin with your GPX folder inside that. I tried again , putting them in the GPX file, and they still don't show up on the device when I look on the map in the region where they are. By the way, the 62 and 64 are nearly identical in operation. You shouldn't have been able to successfully place GPX files in the Current and Nav folders and read the contents of those files. The Current folder has one file - Current.gpx which is your current track, and the Nav folder holds a device-created route when you are actively navigating. Check that your geocache filters aren't hiding them. It's best to switch over to the geocaching profile first, which is set up to show geocaches. What do you mean geocache filters? You mean a setting on the GPS unit? IF I want to try the other way of loading caches, is there a way to create a list out of a pocket query? Well I tried downloading a list to the 64st using the instructions on the Garmin express, and that was a big fail as well. I got an error message that the download failed. So basically it is seeming that there is nothing I can do to get geocaches on my device. THis is extremely frustrating. I thought this would go really fast. I have limited time to prepare for my trip, lots of tasks to do as I prepare, and I really resent having all this trouble just to get this simple task done. Also, after I turned on this new device, I found that it ended up with pre-loaded geocaches all over my area. A lot of them I've already found, so I went into the device to try to find where they are in the files to delete some, but I can't find them in the device. I dont' see any GPX files on the device except "Garmin Waypoints" and "Birdseye demo" and not sure if they are in one of those. Extremely frustrating. I would think that Garmin could do a whole lot better and they are going to get an earful when I speak to them tomorrow. If they can;t quickly instruct me over the phone how to get geocaches on my unit then I'm returning it. Also, after I turned on this new device, I found that it ended up with pre-loaded geocaches all over my area. A lot of them I've already found, so I went into the device to try to find where they are in the files to delete some, but I can't find them in the device. I dont' see any GPX files on the device except "Garmin Waypoints" and "Birdseye demo" and not sure if they are in one of those. Extremely frustrating. You need to check the correct box in the query, so not to load caches you have already found. I would think that Garmin could do a whole lot better and they are going to get an earful when I speak to them tomorrow. If they can;t quickly instruct me over the phone how to get geocaches on my unit then I'm returning it. The problem is not with Garmin or the GPSr. If you want to take out your frustrations with whomever answers the phone at Garmin, that will not help the situation any. Do not place any files in the Garmin\GPX\Current or Garmin\GPX\NAV directories. Remove all files you have already added to the GPSr. Then place your PQ GPX files in the Garmin\GPX directory. 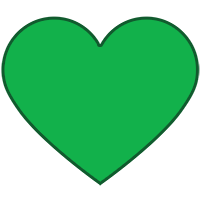 If you do not see any Geocaches on the Map page, recheck your Geocache filters on the GPSr, and check your Map page Zoom Level settings for Geocaches. 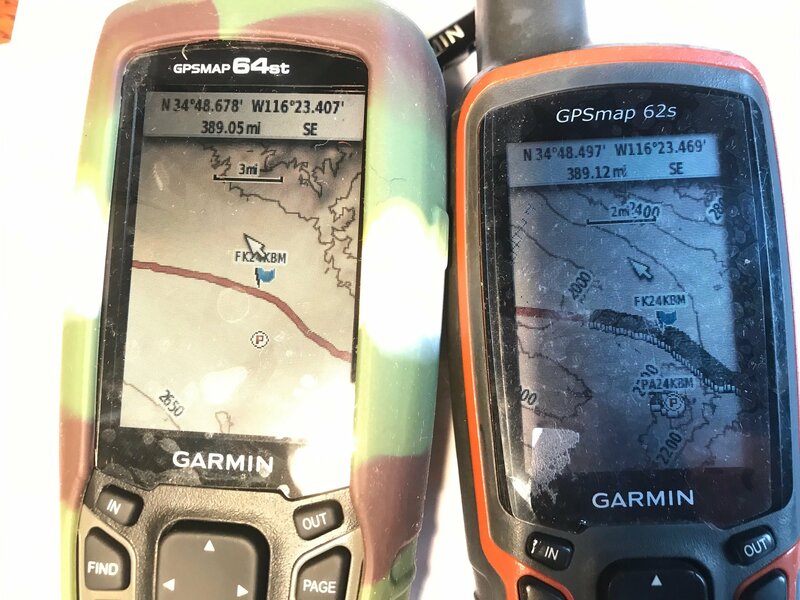 This is very confusing because for many years, I have ALWAYS loaded pocket queries onto the GPSr in the Garmin--- GPX -- Current and the Garmin--- GPX -- Nav files. As far as I know I've never put them in the GPX folder. ANd this has always worked!! They load up. And in fact when I go to YouTube to search for video tutorials on this topic, this video describes what I've done -- he puts them in the NAV file. And I did just that yesterday when I put all these same pocket queries in my Garmin 62s. I put them in the Current and Nav files, and they all show up on the device and on the map. I tried what you said, I deleted all the geocache files I had put into the GPSr, and reloaded one pocket query set into the GPSr and still NONE of them show up. I checked "geocache filters" and all the filters are set to allow the max # of caches, no restrictions on size or terrain or anything. Type is all types, cache size is all sizes, difficulty is all numbers, terrain is all numbers, status is unattempted did not find. I wonder if there is a defect in my GPSr because there IS no "NAV" folder in it at all. It only has the "Current" folder. Goldenwattle, this doesn't have anything to do with clicking correct box in the query (I did that ) rather it has to do with the fact that none of the caches generated by the query are loading onto the GPSr device. Are these caches more than 100 Miles/160 Km from where you are now? If so, they will show up when getting there. If the 64 is behaving like other "new" models from the last few years the unit wil only show caches if they are close enough. You can however check to see if the caches will show by zooming out on the map, scroll to the general area where the caches should be and then zoom in. You can also "search near" to look for a cache name. As others stated get rid of the GGZ file with out of date preloaded caches in the Garmin/GGZ folder. Load your caches in the Garmin/GPX folder (delete them in other folders if you placed them there). Yes, the caches are more than 100 miles from my home. I did zoom in -- and didn't see them when at the same "resolution" or zoom amount as the preloaded caches. But,..... just now I found them on the device! YEA!! Really glad to know my device is not defective. Apparently you have to zoom WAAAAy in to see the caches. I wrongly assumed that I should be able to see these if I was at the same resolution or amount of zoom as I was able to see the preloaded ones. But that was incorrect. I have to zoom in a lot more to see these, than to see the preloaded ones. I suppose if I'd started with loading caches in my area, where I know my way around and it's easier to tell where I am if I zoom way in, I'd have seen that the caches were loaded. But I was putting in caches 350 to 500 miles away and zooming way in made it harder to find the area I was looking for. Anyway, what a relief to find out it all works! Thanks everyone for your help. Apparently you have to zoom WAAAAy in to see the caches. You can change the zoomlevels. Depending on the cache density of the area you may want to experiment a bit. Mine is set to 5Km for geocaches and 3Km for user WPs at the moment but when not a lot of caches are around I increase the zoomlevels to get a better overview. The reason your GPSr did not have a Garmin\GPX\NAV directory is because it does not create that directory until you select a destination and begin NAVigating to it! The Garmin\GPX\Current directory is for the current track log recording (*.gpx) that has not yet been saved (will then appear in Garmin\GPX) or archived (will appear in Garmin\GPX\Archive). Technically, Garmin GPSr will index any *.gpx files that are loaded into any directories nested under the Garmin\GPX directory, but you should avoid using the Current and NAV directories as they are intended for other purposes. You can create your own directories under the Garmin\GPX to better organize your waypoints and geocaches, etc. BTW, do not load your geocache.gpx files more than once to the device! This will create database issues and cause all sorts of problems! Thanks for all the good tips, Atlas Cached. I had thought maybe that would be the case about the "Nav" file, that it would be created once I started navigating...but wasn't sure. Here's something else I noticed....and a big part of why I got so confused about finding the caches on the device. The geocaches on the 64st cannot be seen at the SAME zoom level as allows them to be visible on the 62s. I took a photo of these devices side by side, showing them set at the same zoom level. The topo map looks different because the 62s has a 24k topo map for this area, the 64st thus far has only the 100k topo map. As you can see, the start of the Old Route 66 Geocaching Power Trail in California that I loaded up on both these 2 devices, shows the string of geocaches on the 62s but not the 64st, though the waypoint flag is visible on both. In order to be able to see the geocaches on the 64st, I have to click the "in" button SIX TIMES more, and zoom in 6x greater scale, compared to the 62s. Does anyone know why this would be? I bought the additional GPSr because in case my first one malfunctioned, I didn't want to be GPSr-less during a big geocaching trip, or have to rely on my smartphone geocaching app in areas where there may be no cellphone reception. I read that but I have no idea how to change zoomlevels on the GPSr...where do I go? I'm not finding it on the setup menu anywhere. I'm not finding it on the setup menu anywhere. Ah! I found it...one has to go to Setup ---> Map --> Advanced Map Setup --> Adjust Zoom ranges --> Zoom Levels ---> Geocaches. Mine was set at minimum zoom level of 0.2 mile. I increased it to 20mile and saw everything a lot easier, but perhaps too much. Changed to 12 mile and we'll see how that does. If you haven't done so, I highly recommend downloading the manual for your 64st. I also keep a copy of it in my smartphone for quick reference. The manual can be found at Garmin support. Thanks for the tip, Luvvinbird. I am printing out the manual right now!! I wish Garmin would just include the manual in written form with the product, as all products used to have in the past. I like having hardcopies of everything. Alas, it's a sign of the times. Along with the buggy whip went hard copy manuals, lol. Enjoy your 64st, it's a really great GPSr.